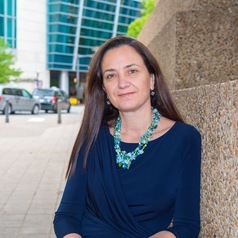 Irene Calboli is Professor of Law at Texas A&M University School of Law, Transatlantic Technology Law Fellow at Stanford University, and Distinguished Fellow at the Royal University of Law and Economics in Phnom Penh (Cambodia). For the year 2018-19, she is also Visiting Professor at Nanyang Technological University, National University of Singapore, and International Islamic University Malaysia. Irene has held long-term and short-term academic positions in several universities, including Bocconi University, Hanken School of Economics, Hebrew University, King’s College London, the University of Strasburg, University of Bologna, Tongji University, the University of California at Berkeley, and the Max-Planck Institute for Intellectual Property and Competition Law. Most recently, she was Lee Kong Chian Fellow, Visiting Professor, and Deputy Director of the Applied Research Centre for Intellectual Assets and the Law in Asia, Singapore Management University, School of Law, a research centre that she directed from 2015 until 2017. As part of her work in Singapore, she launched the IP Scholars Asia Conference, and convened the first, second, and third edition of the event. Irene is a dedicated teacher and a prolific scholar. Her recent books include: the RESEARCH HANDBOOK ON INTELLECTUAL PROPERTY EXHAUSTION AND PARALLEL IMPORTS (Edward Elgar, 2016, with E. Lee), GEOGRAPHICAL INDICATIONS AT THE CROSSROADS OF TRADE, DEVELOPMENT, AND CULTURE (Cambridge University Press, 2017, with Ng-Loy W.L. ); and THE PROTECTION OF NON TRADITIONAL TRDEMARKS: CRITICAL PERSPECTIVES (Oxford University Press, 2018, with M. Senftleben). Irene is a member of the Editorial Board of the Trademark Reporter, the Queen Mary Journal of Intellectual Property, and the WIPO-WTO Colloquium Papers. She additionally serves in a variety of leadership roles in professional organization, and is currently the Chair of the Art Law Section of the Association of American Law Schools, and a member of: the Council of the International Law Association (Singapore Branch); the Board of the European Policy for Intellectual Property Law Association; and the Legislation and Regulation Committee of the International Trademark Association. She is an elected member of the American Law Institute and an associate member of the Singapore Academy of Law. Irene regularly acts as Expert for national governments and international organizations, and has recently conducted missions in Cambodia, China, Ethiopia, Indonesia, Malaysia, South Africa, Thailand, and Vietnam. She is the recipient of numerous awards and, for the period 2017-2020, has been selected a Fulbright Specialist.